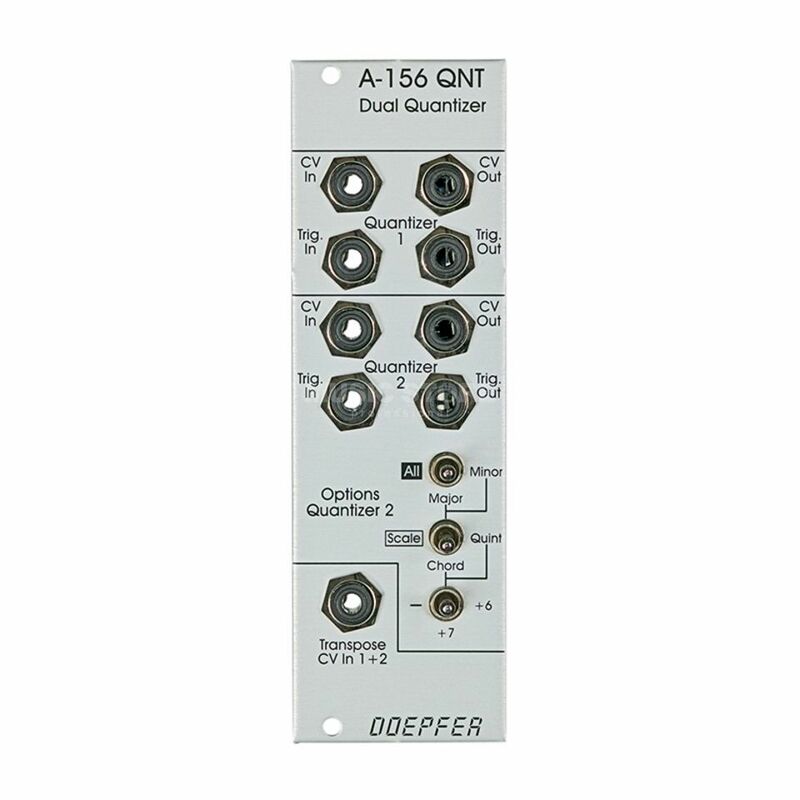 The Doepfer A-156 Eurorack Qunatizer Module is a powerful and competitively priced dual control voltage quantizer synth module that allows conversion of a continuous control voltage into a stepped output voltage. The A-156 is a Dual Control Voltage Quantizer. A quantizer converts a continous control voltage in the range 0...+10V into a stepped output voltage in the same voltage range (i.e. only certain voltages occur). Normally 1/12 V steps are used to obtain semitone steps. Quantizer 2 of the A-156 allows more sophisticated quantizing modes like major scale (i.e. only voltages corresponding to the major scale), minor scale, major chord, minor chord, fundamental + fifth and addition of seventh or sixth when chords are selected. Very pleased with the A-156, simple and straightforward to use, I use it to keep random waveforms in tune. The trigger outs are handy as is the transpose input. Usual Doepfer quality and design.